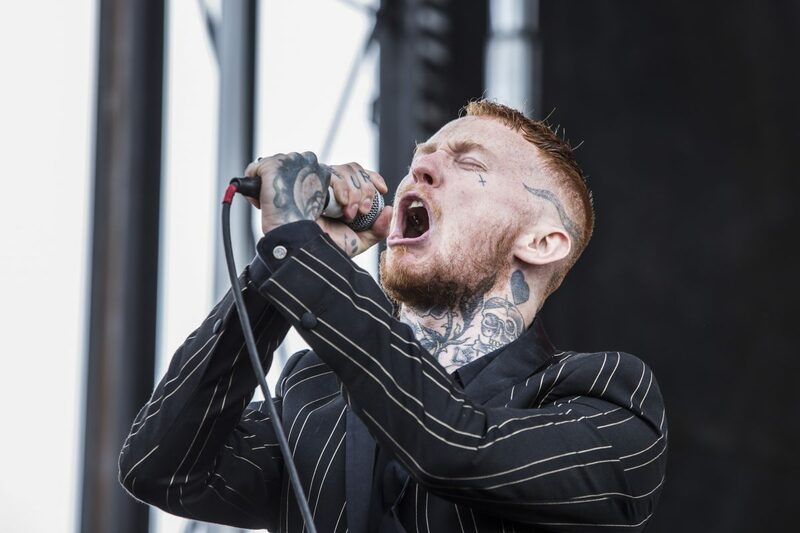 Frank Carter & The Rattlesnakes, the U.K. punk outfit helmed by former Gallows’ singer Frank Carter, return to North America this fall for a handful of live outings including performances at Aftershock Festival, Mexico’s Northside Festival and a pair of Southern California headlining dates. “Cannot wait to be back on U.S. soil,” said Carter. “After living in New York for five years I feel a special kind of love for the country and I always feel incredibly lucky to bring our own venom laced rock ’n’ roll across the pond. Tickets for the Anaheim and San Diego shows are on-sale tomorrow at 10 am pacific. Frank Carter & The Rattlesnakes released Modern Ruin in January, with the 12-song album debuting at #7 on the UK album charts and collecting widespread praise from press worldwide. Rock Sound called the release “a modern day punk revolution,” Alternative Press gave the album four stars, describing it as “frenzied punk” and “incredibly powerful” while Rolling Stone Australia dubbed the album “a rifle grenade.” Frank recently visited Spotify’s studios to record acoustic versions of “Snake Eyes” and “Wildflowers,” which can be heard here: http://smarturl.it/FCATRspotifysingles.